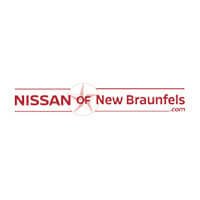 At Nissan of New Braunfels, we take pride in offering excellent car service, maintenance, and repair. 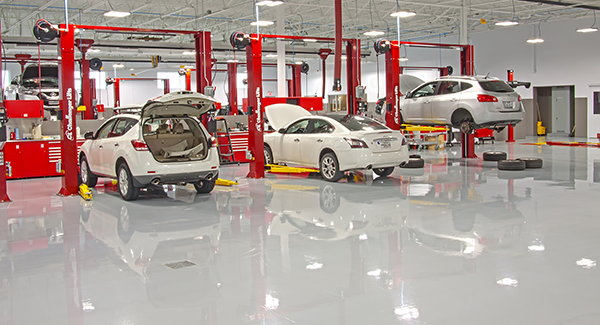 Our new dealership is equipped with top-notch technicians who have the latest tools and technology. We are ready to help you get back on the road quickly and safely. Our trained staff is up-to-date on all the Nissan standards and specifications. We also handle repairs and maintenance on all other brands- old or new. You can trust our Service Center team to get the job done right, on time, and at prices that won’t break the bank. You can schedule an appointment today or stop by. 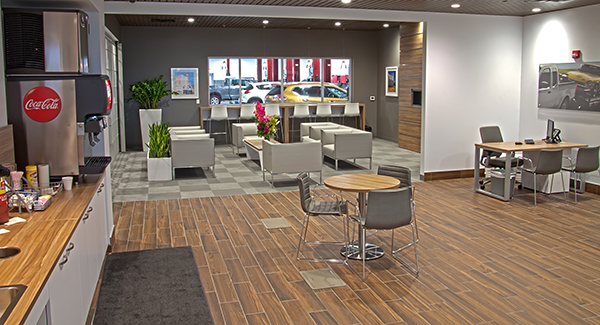 We value our customers and want you to have the most pleasant experience at our dealership. That’s why we have designed a spacious entertainment lounge complete with a fireplace for you to relax in. You can sit back and enjoy plush couches, ﬂat screen TVs, free Wi-Fi, complimentary coffee, a soda fountain, and other delicious snacks. You can even visit our on-site expansive, serene lake with LED lighting and fountains that create a breathtaking view. Come by and experience second-to-none customer service at Nissan of New Braunfels today! There are some in our New Braunfels community who have the know-how to be able to do their own auto maintenance and repairs. We want to provide these do-it-yourselfers, along with every customer we service for, the highest quality parts. 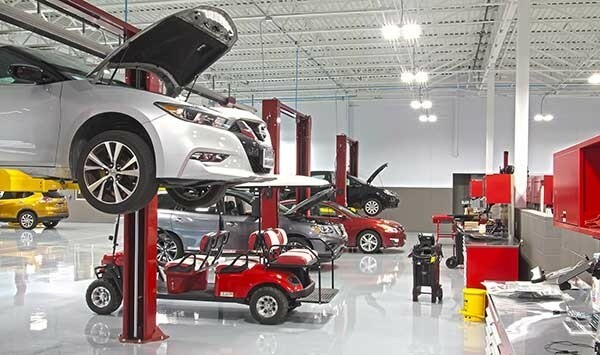 At our dealership, we stock Nissan Factory parts, so whether you are a DIY auto mechanic or you are putting your trust in our highly-trained mechanics, we have the parts to get the job done right the first time! By using Nissan’s factory parts you can be sure that the part will fit perfectly onto your vehicle and provide you optimal performance. Check out what parts that we have available and order your parts online today! We understand life doesn’t slow down when you need car servicing or repairs. If you need to step out and catch up on some errands or you just want to grab some lunch, we offer a courtesy shuttle. In fact, we can simply take you right across the street to the New Braunfels Town Center, full of shopping and restaurants. So when you need to get your vehicle repaired, put your car, truck, or SUV in the hands of our professional technicians at Nissan of New Braunfels and let us take care of you! 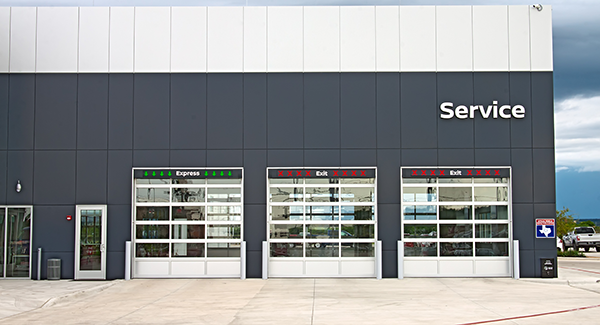 We offer service specials for our customers to save them some money on their maintenance when they come into our shop at 2077 I-35 North in New Braunfels, TX near San Antonio, San Marcos, Boerne, and Seguin.